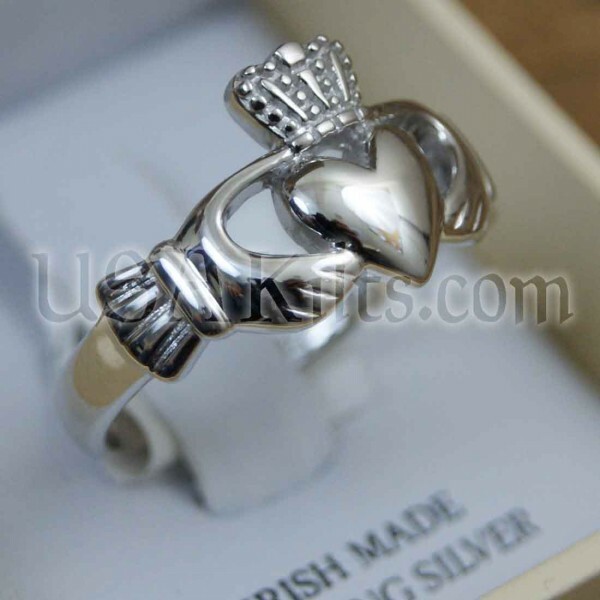 Handmade in Ireland, this large, sturdy men's sterling silver Claddagh shows your Irish heritage. Does your heart beat for Ireland? Or maybe for a certain special lass? Either way, you can show off your pride and your true Irish passion with this classic Stirling silver Claddagh ring. 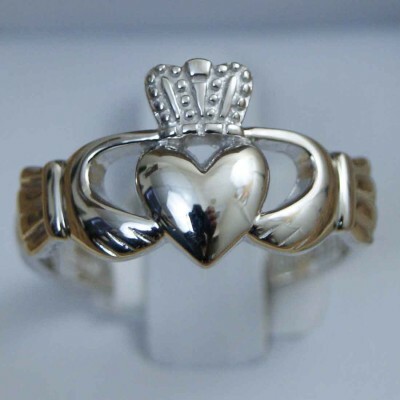 The hands of the "Fáinne Chladaigh" symbolize friendship while the heart symbolizes love and the crown loyalty. Given by lovers to their sweethearts for centuries, this ring is also a popular symbol of Ireland in general and of the values true Irishmen hold in high honor. 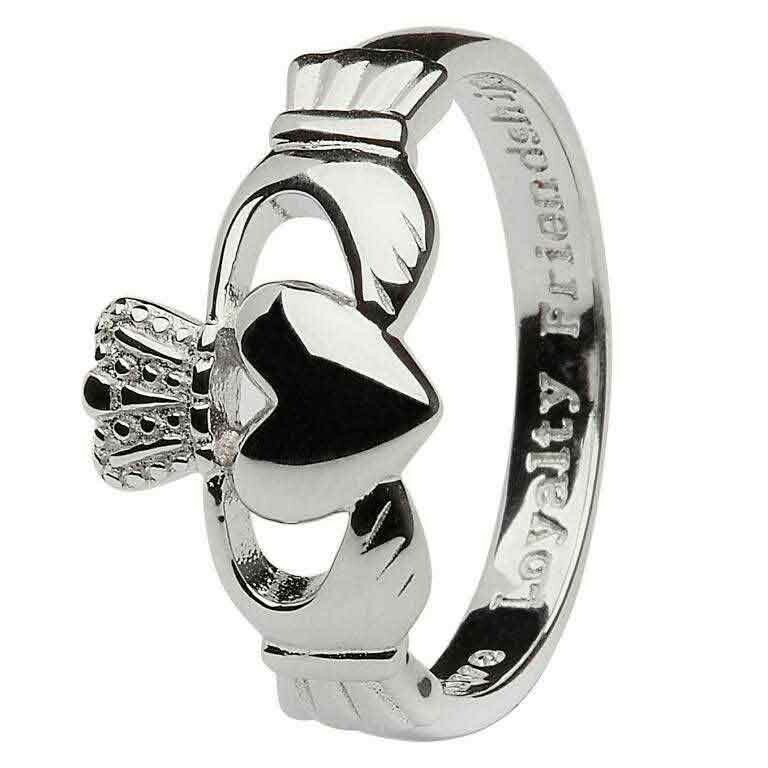 Classic and robustly made, this is a great Claddagh for anyone to wear daily. Sterling silver direct from Galway, Ireland.